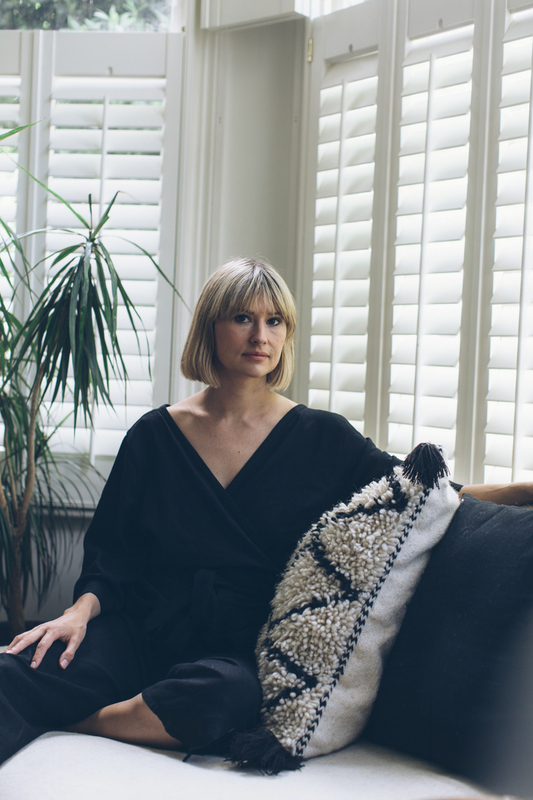 ​Having hit the five year mark since New Zealander Olivia Crighton launched Glasshouse Salon in 2013, we sat down with her for a special anniversary interview to help you get to know her a little more. 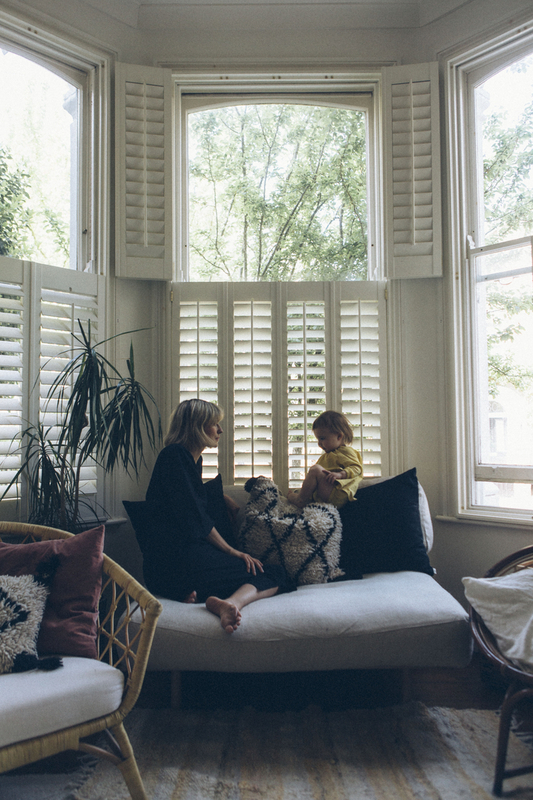 Featuring new imagery of Olivia at home with her daughter Sadie, photographed by long term Glasshouse friend Jessica MacCormick, here is an insight into the woman behind Glasshouse; from embracing a naturally-based lifestyle, to sustainable living, to balancing business and motherhood. How did you begin your journey in the natural and organic beauty industry? I think I have probably always been very intrigued by nature and a holistic approach to life. But my passion has really come from a desire to look after myself and my body. I became quite unwell in my youth and had to rethink my entire diet and make significant lifestyle changes. I started a self discovery journey into the world of all things natural and organic. The more I learnt and read, the more areas of my life I began to make changes and this extended to what I was putting on my skin and hair. I was already a hair stylist by this point, but my journey towards using more natural and organic products had started. When did you realise this would be a principle you would build your own business around? When I moved to London 10 years ago I desperately wanted out of the hairdressing industry due to it’s often bad ethics and the heavy exposure to chemicals. I arrived during the recession and there wasn’t much option to change career at the time. I was thrilled when I discovered the Organic Colour Systems colour and care products as I had finally found a company that was putting the health of its clients first. I began working with them right away. I spent time training stylists in salons all over London and never came across one that truly embodied the ethos and lifestyle I had been hoping for. Natural and organically based brands were seen as just an ‘alternative option’ for some clients if they requested it. I found it contradictory and a little sad that clients didn’t have the best options available to them. Does your view on natural beauty and sustainability extend to other areas of your lifestyle and the way you are raising your daughter, Sadie? Absolutely. I live and breathe it. I am also studying to become a naturopath which just feels like an extension of my lifestyle and the ethos of my business. When it comes to beauty, I obviously use all the products we stock at Glasshouse Salon —the brands we have are hand-selected based on what I love and use. 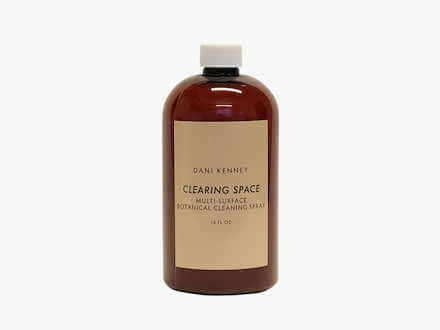 For example when I was pregnant, we launched the beautiful hand-blended products by Dani Kenny as they are all safe during pregnancy and designed with little ones in mind. We also recently took on an incredible cult moisturising balm called Skin Salvation by Purepotions, based on my experiences with my daughter Sadie’s eczema. I try my hardest to maintain a ‘toxic free’ home where possible. I’m very careful with things like the household cleaning products and detergents I use and always avoid any additional necessary substances such as air fresheners. I love to diffuse essential oils instead. What’s safer and gentler for Sadie and I, often happens to be a more sustainable option too. I tried to use reusable nappies but sadly didn’t get on with them in my first hazy year as a mother, so opted for biodegradable nappies instead. Traditional nappies can take a mind-blowing 400 years to decompose and commonly contain nasty things like chlorine bleach, optical whiteners, fire retardants and other harsh chemicals that are not only bad for baby but for the environment too. All my nappies, (biodegradable) wipes and some clothes and toys come from Beaming Baby who do bulk so the costs are just about competitive with the supermarket brands. I find it a real test to resist buying all the sweet childrens outfits I come across, but the impact the textile industry has on the environment just can’t be ignored any longer. It’s also not something we think of as being toxic or dangerous, however the dyes, chemicals and fungicides used on clothing is something we need to become more educated on not only as the impact on our environment but also how they might be affecting our bodies. Having grown up in New Zealand, did you have any concerns about raising Sadie in London? Did you always plan to have a home birth? Yes, I wanted to be in the most calm, comfortable and safe environment and for me that was at home. Once I decided that’s what I wanted I was very determined to make it happen. I feel we sometimes have more choices than we are led to believe, so I did a lot of research and made sure I knew and was prepared for all the alternative outcomes. The best part was being able to snuggle into bed straight after the birth as a family. What was the experience like having a doula? A doula’s role is to be your personal advocate. The midwives and hospital system are incredible but their ‘first option’ might not always line up with your own ‘first option’ (my husband liked the idea too as it took the pressure off him and he was able to do the job of just supporting). Having a doula was crucial to the outcome of a home birth for me. Every time the contractions slowed down the midwife wanted to talk about a transfer to the hospital and my doula was there to be my advocate for staying put. It could have been a very different birth otherwise. She spent the whole time ushering the midwife and my husband out of the room and keeping them distracted so my body could do what it needed to do on it’s own. In the end I gave birth alone in our bathroom in the dark. It was perfect. The idea of taking maternity leave must have been quite different for you as a business owner. Did you find it challenging to step back from the day-to-day running of the salon? I found it very challenging. I have built my business from the ground up and am very passionate about what we do. I was worried that it could all disappear overnight without me. I was in communication right up till the birth and in the weeks following. But once Sadie reached 6 weeks old she became colic (by the definition of unexplained crying for more than 3 hours at a time in an otherwise healthy baby) and I had to go a little more easy and trust my wonderful team that everything would be fine. I worked really hard during my pregnancy to make everything as efficient as possible and delegating to make sure my role was thoroughly covered. It was the best thing I could have done and was worth the effort. When you have a small business you often end up ‘doing it all’ - it was interesting and challenging to explore exactly what I did and didn’t need to do myself. It’s meant that now, with even more limited time on my hands, I am able to work on the bigger picture for the business and focus on plans I never had time to work on before I gave birth. The concept of going on maternity leave when you have your own business is an interesting one. The idea of a ‘clean cut’ maternity leave just doesn’t exist in the way it does for employees. I possibly got involved back into work a little too early and it added a lot of extra stress at the time. 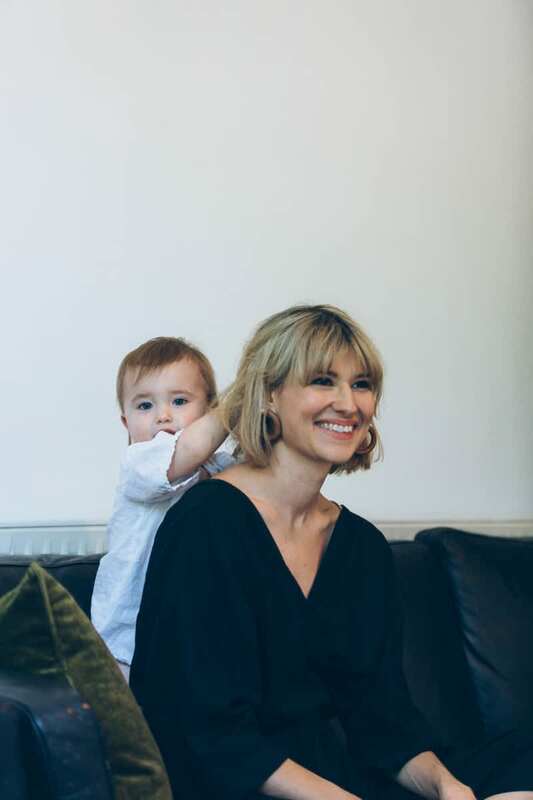 Sadie felt much too young for nursery, I was breastfeeding around the clock and I wasn’t getting any sleep, yet I was never able to completely switch off from the business. I’ve had to do some serious work on making sure I am dividing my time in the exact way I want to be. I never really feel like I am get enough time with my daughter or my business (and don’t get me started on my social life! ), and that’s ok as long as I am doing it for me and not because society dictates one way or another. What advice would you give to new mums on nurturing and caring for your body after giving birth? I loved hot Epsom Salt baths, laying in bed, gentle walks visiting the parks (most of which was done with Sadie strapped to my chest). Above all it’s about doing things at your own pace and being kind to yourself. It takes an entire year for your body and all its organs to go back into place after pregnancy. For some of us it might be the only time we can accept help and care. Let your friends and family cook and clean for you and bring you cups of tea in bed! I very much dislike when people use the term ‘bouncing back’ after giving birth, as I feel this isn’t something we should be expected to do. I also find there’s a lot of stuff out there on social media about getting back to the gym and getting ‘out there’. While that’s fine for some people, I think most of us need rest after the (emotional and physical) marathon that is giving birth and having a newborn baby. What’s the most important thing you’ve learnt about yourself since becoming a mother? So many things! It’s really changed my life and forces you to become so much more present. If I had to focus on one it would be about “emotional expression”. As mentioned, Sadie was colic and she would save all her crying up till the end of the day. I tried everything to try and soothe her. I started to notice that not only was she very calm and slept well after a big cry, but it would often be over a lot sooner when I was able to look her in the eyes and talk her through the crying with love and sympathy instead of trying to distract, bounce or feed her - in fact these only made her more irritated. When I was pregnant I had very clear ideas about the type of parent I wanted to be and how I would raise my child. I really identified with attachment parenting as a concept, however I realised I was spending the whole day trying to keep my child ‘happy’ and was constantly suppressing her instinct to express her emotions. I think we’re uncomfortable with crying and expressing emotion in our society, for me, when Sadie would cry I would just instinctually wanted to stop her. Sadie has taught me that crying and forms of emotional expression are very natural. When we cry as adults we feel more settled and content after and it also promotes bonding. When Sadie gets upset now I no longer distract her or get uncomfortable about it. I sit with her and allow her to ‘tell me her story’ and we both feel much better after. For me, motherhood has been a journey of trial, error and self-discovery. The life lessons are endless, ongoing and full of joy. 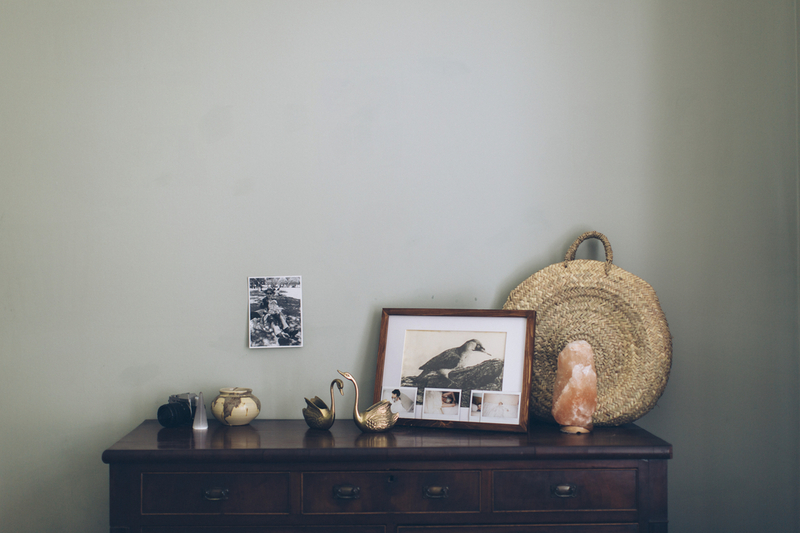 Photographs taken by Jessica Maccormick in May 2018. 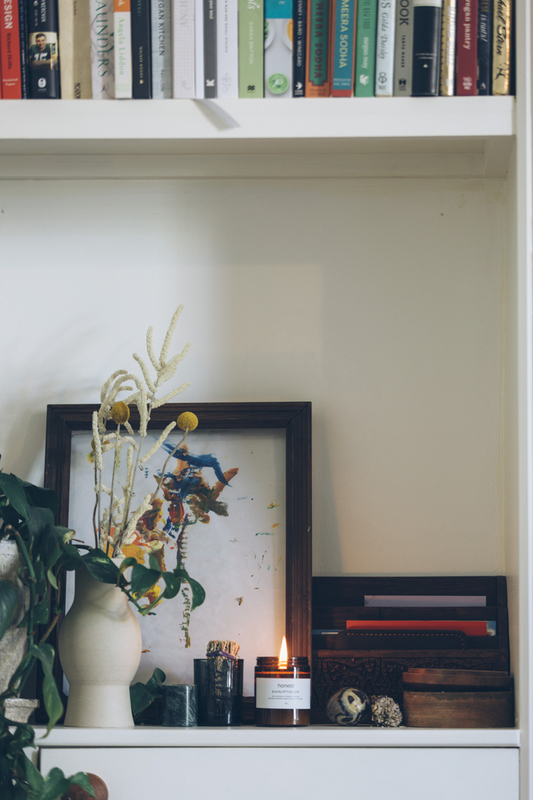 Fill your home with a non-toxic blend of warming notes of black cardamom, ginger and cinnamon. A natural, botanical cleaning product for the home that’s safer for the whole family. Made with aloe vera, patchouli and lavender. 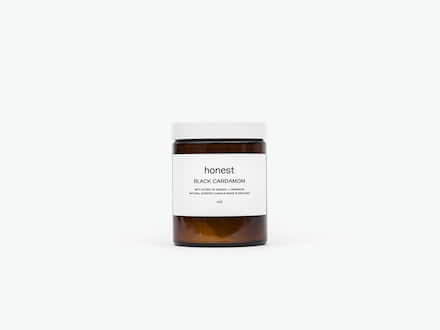 A 100% natural balm made with beeswax to soothe and protect skin from external irritants and allergens. Suitable for all ages and for those suffering from eczema or other dry skin conditions.